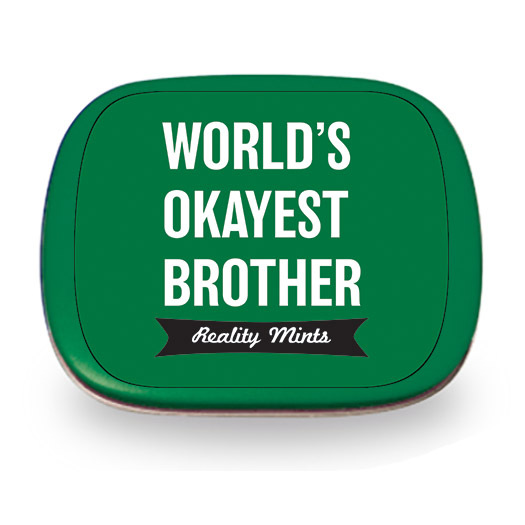 There is nothing more wonderful or frustrating than family, so tell your sibling that’s he’s absolutely average with World’s Okayest Brother Mints. If there is anything that a brother knows, it’s that while you love him forever, there’s nothing better than a good joke at his expense. 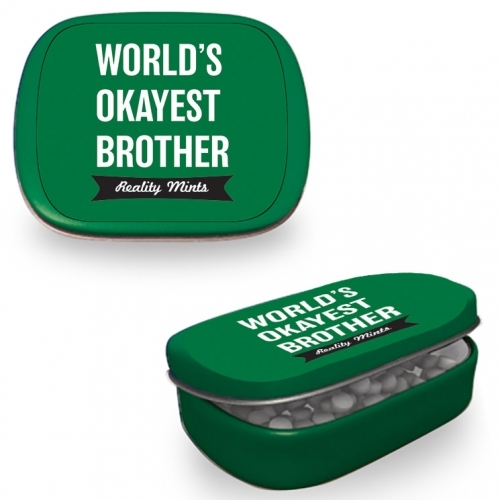 A tin of World’s Okayest Brother Mints will bring a smile to his face. He could be the best person in the world, whom you respect above all others, but you’ll never say it to his face. Siblings have a unique relationship. As children, they delighted in getting the other in trouble, but at the same time could be the best of friends. You’re stuck with your brother for the rest of your life, and when it gets right down to it, you wouldn’t want it any other way. World’s Okayest Brother Mints say ‘I love you, but I won’t admit it. You’re Ok at best.’ He may have pulled your pigtails or sat on you until you couldn’t breathe, but he’d also go to the ends of the Earth to help you. 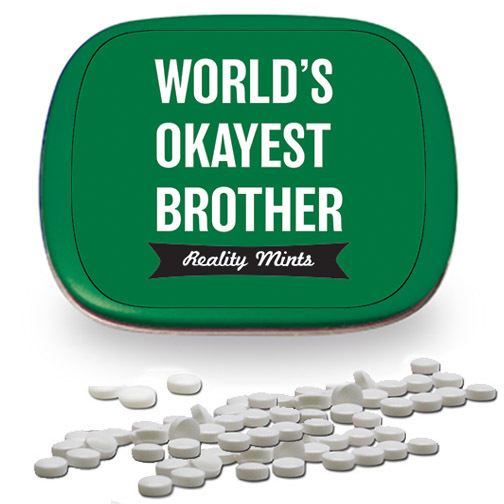 Here’s to you, brother; you’re, like, okay, or something.